How the travel industry can rediscover their greatest asset: employees. Leondakis mused how in an industry predicated on service, a brand can still miss the mark. The emphasis on authenticity and local in the hospitality space is no longer a differentiating factor, it is standard industry practice. Hotel groups are adding brands to their portfolios in an attempt to accommodate every strand of lifestyle, but they cannot transcend the central control of the brand. In short, it is all beginning to look and feel the same. Leondakis concluded that the greatest disruption in travel will not be a new piece of technology but rather the rediscovery of humanity. Customers connect with a brand on an emotional level. This is no truer than in the travel industry, and hospitality specifically. Empathy enables an employee to recognise the needs of a moment. The hotel clerk did not recognise the significance of the cup of coffee and deferred to protocol. A baby is born with the capacity for empathy hardwired into their nervous system, however, it is also learned; empathy is a reflection of one's experience, or in this case a reflection of the organisation. An employee will always betray the culture of the organisation. How can an organisation create empathetic employees? Empathy is activated by trust. Scientifically, trust is reciprocated. Trust begets trust. The best means of building trust with your customers and thereby brand loyalty is to build trust with your employees. Consequently, this is what prospective employees want. Recent studies have revealed that when choosing a workplace, Millennials (generation Y) and Gen Z (generation Z) prioritise purpose, transparency and career development over salary. Starbucks is famous as a company that values their employees. This is revealed in the benefits they offer and their ability to retain staff in a market characterised by high turnover. Starbucks call its employees Partners! In 2012, Starbucks in Ireland became entirely franchised. The product, decor and WiFi remained the same. 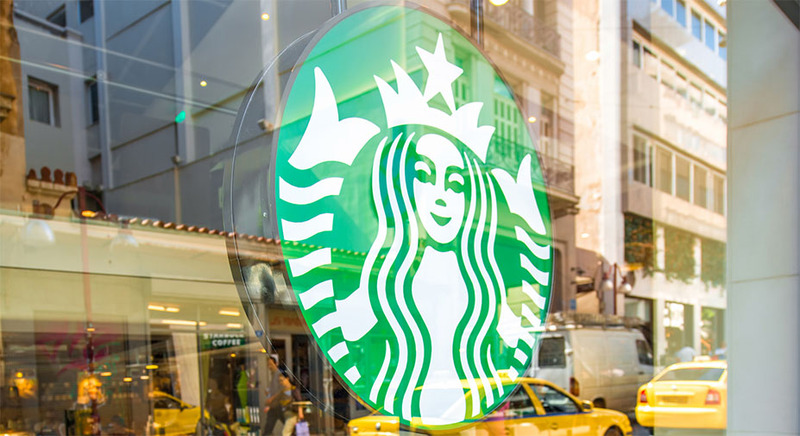 However, the new owners began to systematically rescind every benefit offered under the Starbucks brand: a bag of coffee per employee a week became one bag per month; health care was removed; equity was removed; training opportunities rolled back. When Starbucks brand arrived in Ireland in 2005, the purpose and collaboration demonstrated in bringing a cup of coffee to bear was conducted with the same earnest belief seen in most hospital wards: saving the world one latte at a time. How long can a franchise trade on a brand when the soul is removed? Especially in this day and age, when coffee is considered both science and art of which the franchise now, possesses neither capability. In Ireland, there has been a slow erosion of the Starbucks brand from the inside out, what remains is a staff lacking in understanding, purpose and passion. Working for Starbucks is something to do in lieu of getting a real job. Easily overlooked is Mr Conley’s 30 years of expertise in service. Greater data-driven insight will only augment Chip Conley’s ability to create exceptional customer experiences. For the brand lacking a nuanced understanding of the customer’s journey and their role in creating that experience, more data driving automation could further alienate the digital traveller seeking genuine connection. Failing to see how this applies to the travel industry as a whole, is failing to see how brands like Google and Airbnb are competing for the entire travel gamut. In the customer’s journey, wherever there is a human touchpoint, there is an opportunity for authentic connection. Can travel brands compete with the genuine connection made between an Airbnb host and guest? More data, more empathy, the industry needs both. Leondakis’ point is the industry has favoured tech, to the neglect of empathy. The next innovation is found in a brand’s ability to empower its people to be authentic and present with the customer, understanding the needs of any given moment.